Getting back in to a healthier way of eating after the last few months of holiday eating can sometimes be a challenge. These turkey Cordon Bleu wraps give the decadent flavor of the normal Cordon Bleu recipes, but I have used a few substitutes to lighten them up in a more healthy manner. This is a sponsored post written by me on behalf of Hillshire Farm®. All opinions are entirely my own. It’s time for some Turkey Cordon Bleu Wraps. 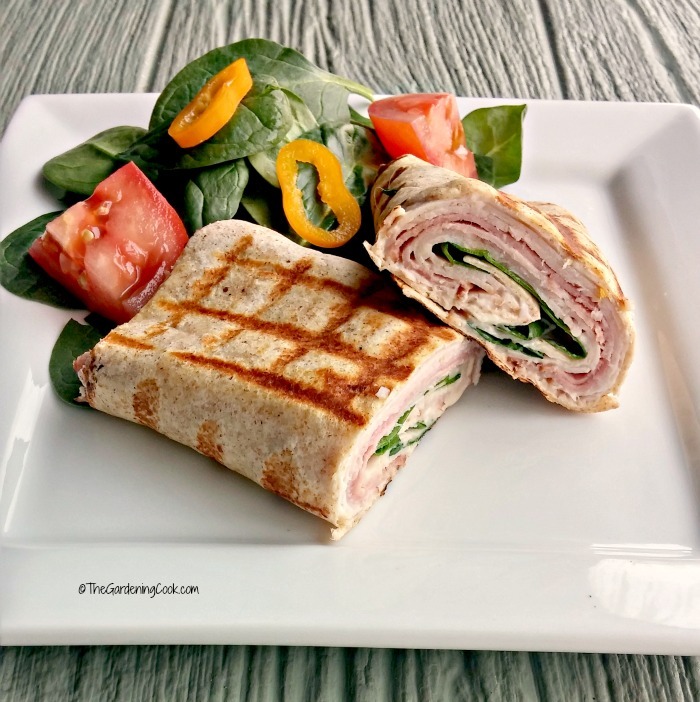 Lighten up your lunch time with these Turkey Cordon Bleu Wraps. Your family will love the taste of these delicious wraps and you don’t have to tell them how easy they are to make. 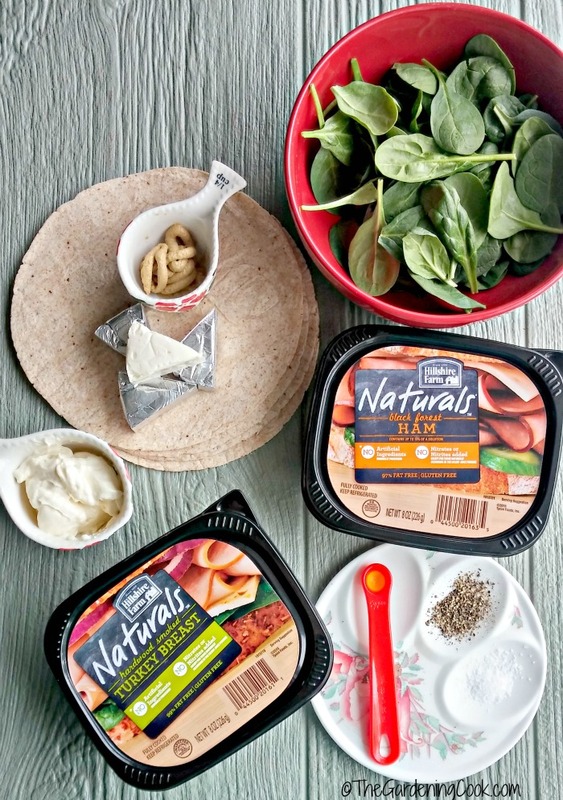 Look at these ingredients – what a yummy wrap this is going to be! 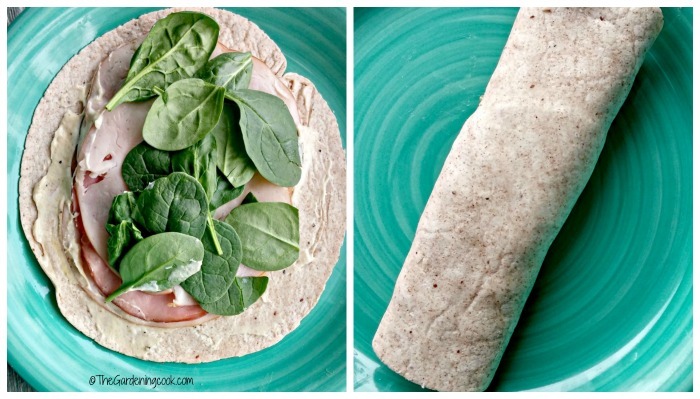 Hillshire Farm® Naturals Lunch Meat make the perfect protein filling for these wraps. I love that these lunch meats contain no artificial ingredients, preservatives, colors or added nitrites. And the taste is delicious and fresh. 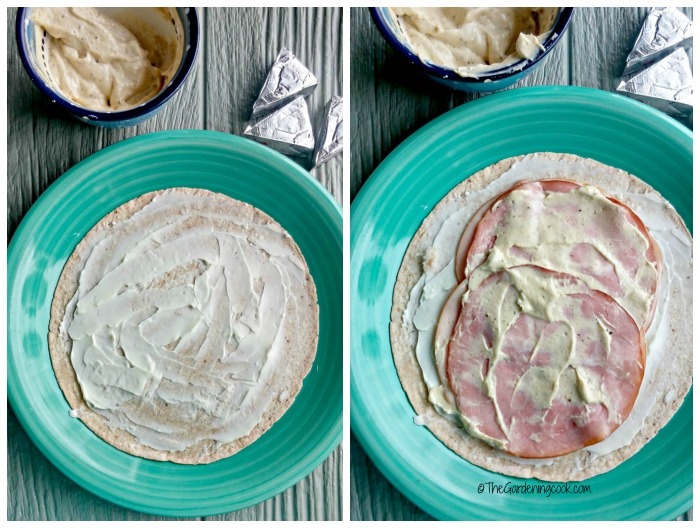 You won’t have a problem getting the kids to dig in to these wraps! 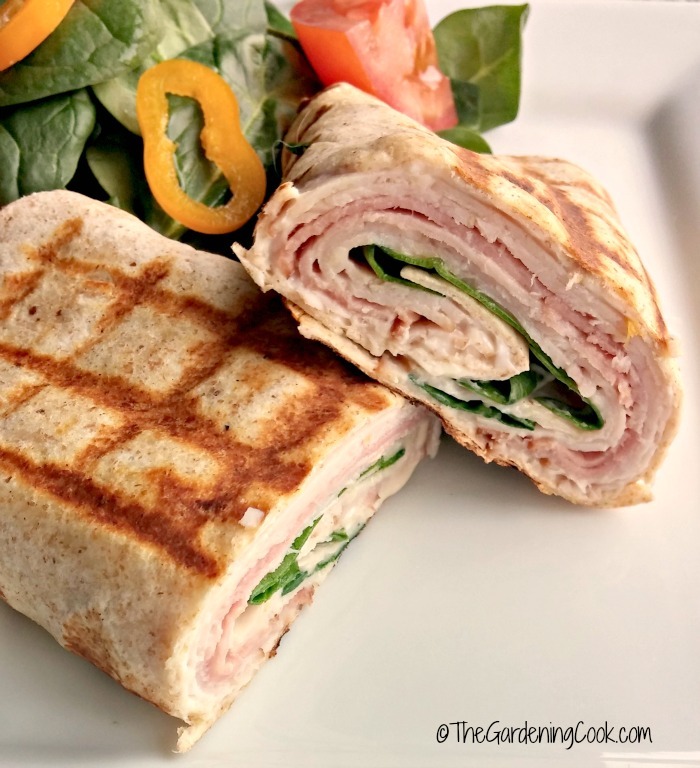 And best of all, their flavor goes so well with the other ingredients in these delicious Turkey Cordon Bleu Wraps. Hillshire Farm Naturals, turkey breast and black forest ham. I found mine at my local Kroger store. These could not be easier to make. It’s simply a matter of spreading the mayo, seasonings and cheese and then layering the lunch meats and spinach and wrapping them up. The kids will love to help you make them too! Start by spreading the soft cheese over the tortillas and then layer 2 slices of turkey and two slices of ham. Top with some of the mayo mixture. Next, add another two more slices of the turkey, some more mayo and a sprinkling of baby spinach leaves. Roll it up and place it seam side down on the plate. TIP: I used a bit of the spreadable cheese to “seal” the tortilla together so it would stay put during cooking. I used a grill pan to cook my wraps. They can also be done on an outside grill or even on a Panini press. They look so fancy with the grill marks after they are cooked. It will make you feel as though you are eating in a trendy sidewalk bistro….not in your own kitchen after just a few minutes! TIP: cook the tortilla a few minutes and then move them 45 degrees to give your finished wrap a criss-cross effect. And the flavor? So tasty!! The Black Forest Ham and Hardwood Smoked Turkey Breast combine with the mayo, cheese and spinach for a decadent taste treat that won’t break the calorie bank. The mayo gives the finished wraps a nice tangy flavor that takes the normal cordon bleu taste to a new level. I love to serve them with some fresh vegetables to complete the meal. 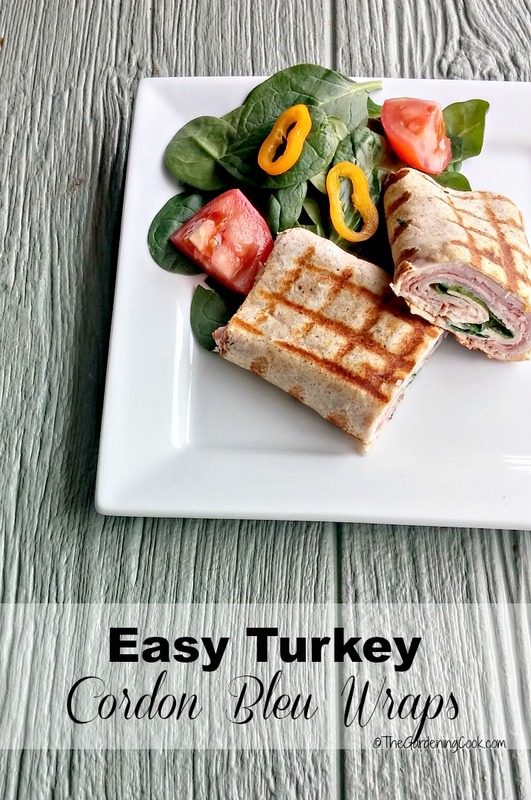 Would you like to make these turkey Cordon Bleu wraps for your family and get back into a healthy routine after the holidays? Just head on over to your local Food Lion store and visit the lunch meat section, dairy case and produce aisle. What is your favorite lunch to eat when you are in a hurry AND want to save a few calories? Tell us about it in the comments below. For more healthy recipes, be sure to visit my Pinterest Board. These turkey Cordon Bleu wraps give the decadent flavor of the normal Cordon Bleu recipes, but I have used a few substitutes to lighten them up in a more healthy manner. In a bowl, combine together the light mayo, salt and pepper and Dijon mustard. Set aside. Heat the tortillas in a microwave for a few seconds until they are pliable. Lay out each tortilla, and spread one wedge of the soft cheese evenly over the tortilla. Place 2 slices of the smoked turkey breast on the tortilla followed by 2 slices of Black Forest ham. Add some of the may mixture, and then two more slices of the turkey breast, a bit more mayo and then some baby spinach leaves. Then roll the tortillas,sealing the edges with a bit of the spreadable cheese. Do the other wraps in the same manner. Spray a grill pan with cooking spray. Heat each tortilla seam side down until it has grill marks. 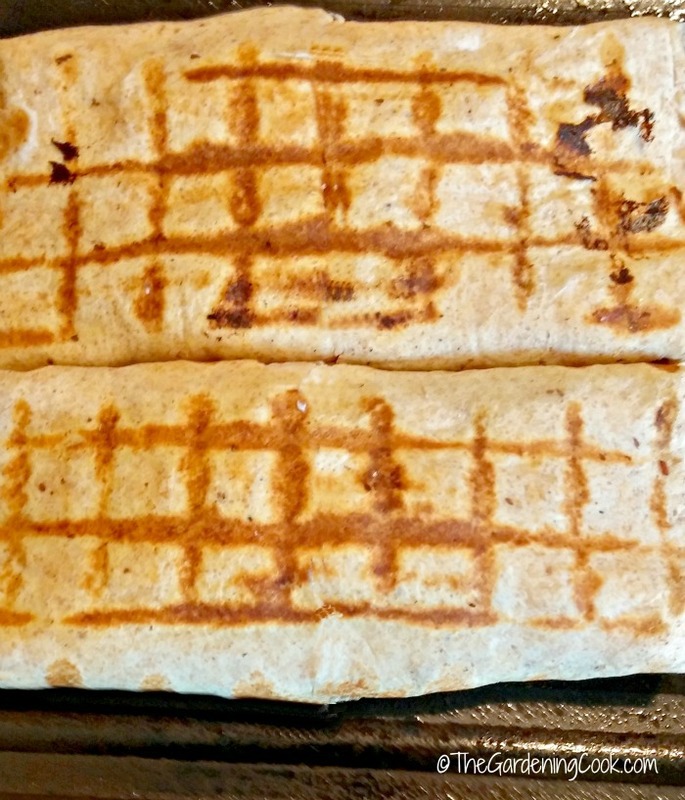 Shift it 45 degrees to give the wraps a criss cross effect. Flip and cook the other side until the wrap is warm and the cheese has melted.. Thanks Renee. We really enjoyed the taste and ease of the dish. I’ve never seen wraps that are grilled, what a great idea. It is the first time I have done them this way and we loved them! Lucky you with a husband who does that! Thanks Lora. Glad you like the look of them!